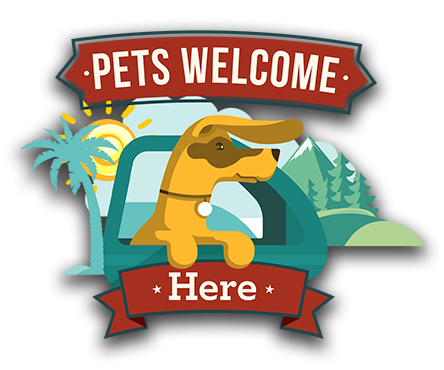 Pets Welome Here TV | “Pets Welcome Here” TV Show Focuses on St. Augustine’s ‘Pet-Friendly’ Ways! Love me, love my dog. So many people love their pets so much, they won’t leave home without him/her. But traveling with furry friends can be a problem in a lot of locales. Not here. 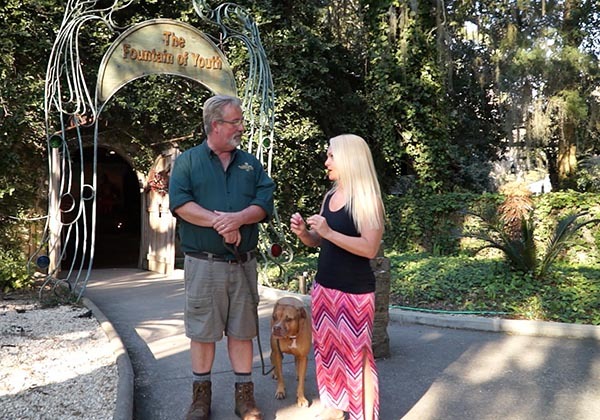 St. Augustine is so pet-friendly that now it’s the focus of an upcoming television reality show, “Pets Welcome Here.” The Orlando-based cast and crew filmed all over the city and the beaches Tuesday for the first episode. Negotiations are still on-going, but if all goes according to plan, it will air this summer in syndicated markets all over Florida. The first season features St. Augustine, Key West, Destin and Winter Park. Host and writer, Christine Van Blokland (and self-professed ‘dog wrangler’), grew up in Gainesville but has visited St. Augustine often. She says she’s always been impressed with how many water bowls are left out for dogs here, and how great it was to be able to bring the dogs to the beach. Her precious pup, Myla, loves it here, too. The show is a dream-project-come-true of Executive Producer Heather Eisenstadt. “We chose St. Augustine because it is America’s oldest city and the oldest pet-friendly city. Almost every attraction here, including the Fountain of Youth and the Oldest School House, welcomes pets. Dogs are welcome in many restaurants and hotels and the beaches! That’s almost unheard of.” Heather says she has traveled with dogs all her life, but sometimes that limited where she could go. That’s why she’s so enthusiastic about showcasing places like St. Augustine that make traveling with pets so dog-done easy. Tongues are already wagging about the upcoming reality show. The show has been in the works for five years. “I’m working with a group called the Class of 64 Productions. We have a doctor, a dentist, and just people with a passion for pets. We did this the hard way. We don’t have any Hollywood connections. We raised the money ourselves and just got it done.” Look for the show this summer on one of the major networks. We will update you when details are nailed down.